Frugal living is not something that I have always been a big fan of. I used to think that people who considered themselves frugal were actually just cheapskates. People who saved up all of their money and never had any fun. It wasn’t until I racked up over $20,000 in debt in 2006 that I realized money was always going to be weighing me down – if I let it. That’s when I decided to give frugal living a try. Though the past few years have not been easy, I have learned so many things about frugal living and why it is such a wonderful way to live. Below you will find a list of ways to be frugal around your home. 1. Cook from scratch. Not only is doing this a great way to save money, but you have the control over what goes into the food you are eating. 2. Start freezer cooking. Cook multiple meals in bulk and freeze the extra for future meals. 3. Build a stockpile. Stock up when things you regularly use are on sale, so that you don’t have to pay full price the next time you need them. 4. Use every last bit of shampoo, conditioner, hand soap, etc. When something like your soap is almost gone, add a bit of water to the bottle and shake it up. You will be able to get a few more days out of the soap. 5. Use vinegar. This cheap product is very useful for so many things, including cleaning and disinfecting. 6. Re-use dryer sheets, or forego them all together. You really don’t need them. 7. Learn to sew. Mend and create your own clothing instead of paying someone else to do it for you. 8. Cut out the cable. There are many free TV stations available online these days. 9. Buy used. I’m not just talking about clothing and toys, but also furniture, vehicles, and home decor. 10. Make your own household cleaners. 11. Re-use gift bags and tissue paper. As long as they are not ripped or destroyed in some way, there’s no reason to throw those items in the trash. 12. Become a minimalist. Learn to live with less. 13. Downsize. If your home is larger than you need, find a smaller one. There’s no sense paying for space that is never used. 14. Wash your clothing, towels, bedding, etc. all in cold water to give your hot water tank a break. 15. Take quick showers. Make it a game with your family and see who can shower (and still get clean!) the fastest. 16. Use a slow cooker. These save a great deal of electricity. 17. Clean windows and mirrors with newspaper instead of paper towels. 18. Use rags to clean us messes instead of paper towels. 19. Avoid bottled water. Stick to drinking tap water from a filter, such as Brita. 20. Switch to energy efficient light bulbs. They may cost a bit more up front, but they will last much longer and will help to lower your hydro bill. 21. Get organized. Organize your bills, clothing, tools, toys, books – keep your entire home organized so that you always know where to find things, preventing you from buying a duplicate. 22. Re-use baby wipe containers or facial tissue boxes to store plastic grocery bags. 23. Cancel your newspaper subscription. There are many free news websites available. Read the news online for free. 24. Shop at thrift stores and yard sales. You can often find kitchen items, clothing, toys and more, for a very small fraction of the original price. 25. Hang your clothes to dry, instead of using a dryer. You can save quite a bit of money doing this one simple thing. 26. Avoid “dry clean only” clothing. Those dry cleaning bills can add up fast! 27. Keep your tires at the right pressure for optimal fuel efficiency. 28. Wash your own car. It’s easy to do and a great way to save money. 29. Drive your vehicle until it falls apart, all the while, saving for your next one. 30. Combine errands. Avoid making multiple trips and instead try to do all of your errands at once, to save on fuel. 31. Walk instead of drive. Save money on transportation costs and get some exercise at the same time. 32. Keep up with routine vehicle maintenance. The better care you take of your vehicle, the longer it will last. 33. Consider becoming a one vehicle family. Think long and hard about whether or not you actually need to have more than one vehicle. If not, get rid of the excess. 34. Bring re-useable bags with you when you go shopping, so you don’t have to buy plastic bags. 35. Buy generic. This applies to food, beauty products and even medications. Most often, the generic brand is just as good (sometimes better!) than the name brand. 36. Menu plan. Create a weekly or monthly menu plan and stick to it as best you can. Doing so will allow you to create a shopping list – only buy what’s on your list, that’s it. This is a great way to avoid impulse purchases. 37. Learn how to price match and do it whenever possible, to save money on transportation costs. 38. Cook at home, instead of spending a fortune on restaurant meals. 39. Take advantage of mail in rebates to save money on your grocery bill. 40. Grow your own vegetables and herbs. This is much easier to do than it seems, and can save you a great amount of cash. 41. Make your own baby food. Puree your own vegetables, fruits, etc. and save money. Those tiny little jars at the grocery store are WAY overpriced! 42. Use cloth diapers instead of disposables. The initial cost for cloth diapers is much cheaper than having to purchase disposable diapers every few weeks. Plus, it’s much better for the environment. 43. Eat less meat. Consider having at least one meatless meal every week. 44. Look over all of your bills to make sure you weren’t over-charged for something. 45. Use coupons. This is one of the best ways that you can save money on your grocery bill, but there are also coupons available for clothing stores, restaurants and more. 46. Make your own coffee, instead of buying it from your local coffee shop. 47. Send invites to any events you host via email, to save money on postage costs. 48. If you go out to eat, drink water. Any other beverage will be overpriced. 49. Stay home. Find contentment in staying home instead of always going out to have fun. 50. Use the library. You can find books, magazines, movies, music and even fun activities at libraries. Take advantage of this FREE opportunity – just remember to return the items you borrow on time, to avoid paying late fees. 51. Learn to say no. You don’t have to attend every party, or go to every baby shower. It’s okay to say no sometimes. 52. Keep snacks in your purse or vehicle to avoid stopping at a fast food restaurant or vending machine when you get hungry and are out and about. 53. Bring your lunch to work. Avoid buying lunch every day, as this can really kill your budget. 54. Live on cash, if possible. It’s much harder to spend money when you actually see it leaving your hands. 55. Quit smoking. This is an expensive habit that really needs to be kicked as soon as possible. Save your money and live a healthier lifestyle by throwing those cigarettes in the trash – for good. 56. Create a budget and stick to it. Spend less than you make. 57. Pay yourself first. Saving for your future should be one of your top priorities. 58. Shop on sale. Follow the Canada yearly sales cycles and only buy things when they go on sale. 59. Buy gifts year-round. Watch for sales and pick up birthday, Christmas and other gifts as you see item at great prices. 60. Learn to negotiate. You can negotiate the price of just about anything. 61. Pay your bills on time. Late fees are so unnecessary! 62. Switch to a no-fee bank. There are a few of these available. If you don’t use the bank very much, you probably don’t need all of the services you are paying for, so – make the switch! 63. Pay your bills online, to avoid postage costs. Most banks offer this option. 64. Create an emergency fund. It’s important to have a safety net in case an unexpected emergency arises. 65. Take advantage of Reward Programs, such as Shoppers Optimum, Air Miles, HBC Rewards, etc. 66. Happily accept hand-me-downs. Nothing beats FREE! 67. Re-gift. There’s absolutely nothing wrong with re-gifting a gift that you received and never intend to use. Just make sure you don’t give it back to the person who got it for you in the first place! 68. Give homemade gifts for holidays and birthdays. Not only are the inexpensive, but gifts mean so much more to someone when you make them yourself. 69. Use Ebates when you are shopping online. You might as well earn some cash back from purchases you were already planning on making. 70. Use Swagbucks to earn cash, gift cards and prizes. If you spend time online, this simple program can be very lucrative. Don’t feel as though you need to follow every tip on this list. Find a few tips that you think you will be implementing into your current lifestyle and give them a try. If they work out well, try a few more. It’s important to remember not to overwhelm yourself. Doing so will only result in disappointment. Frugal living is not something that is difficult to do. It also does not mean that you are cheap or a tightwad (as many people like to call me!). Living a frugal simply means that you are being responsible with your finances and only spending money on the things that are important to you. 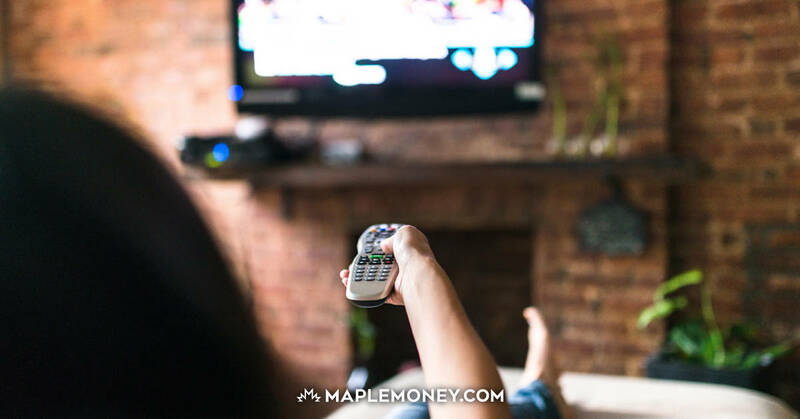 The more money you save by not spending on frivolous items, the more you can enjoy a life free of debt and full of opportunity. Frugal living is one of the best ways you can save money and enjoy a more simple and meaningful life. You don’t need “stuff” to make you happy. I am so thankful that I changed my life around and am now more careful with my money. Since becoming more frugal, I have actually been able to enjoy the things that I wasn’t able to enjoy when I was spending money crazily – imagine that! Please share your frugal living tips in the comments. have you ever read a newspaper? ever noticed how the ink will make your fingers go black if you rub them against the text? and your telling me to clean my windows and mirrors with newspaper? ummmm no, thanks, i would prefer that they look CLEAN. HELLO!!??!!?? My tip is to use separate bank accounts for separate goals. It seems pretty standard I know, but I found that once we created a few (free) savings accounts for large purchases like “Home Renovations”, “Travel”, and “Furniture” we could save up for large purchases, know exactly how much we could spend, and spend without feeling guilty that we were using money we should use elsewhere. It also really helps bring home the old “save your money until you can afford it” rule. @Heather~ It actually does work, your windows and mirrors are clean and there is no ink or lint from the paper towel left on the windows or mirrors. She is not telling you to use newspaper, it’s a suggestion on being frugal! Try it first it works!!! 2 cups of water, 1/4 cup of white distilled vinegar, and up to 1/2 teaspoon of liquid soap or detergent (to help with wax build up) in a spray bottle. Many of these “Frugal Living” tips are also very green. Bottled water is not environmentally friendly so tap water is much better for your pocket book and the environment. Cleaning the windows with newspaper is also a better environmental choice. Better yet, try a couple of drops of dish detergent and vinegar in hot water and squeegee your windows. Fast, effective and green. The best advice that I’d ever gotten was from a very frugal uncle who told me “Don’t spend money you don’t have on things you don’t need.” Leave the trinkets and trash in the store and buy only what you can use. I’m still working on that part but I’ve found that a simpler way of life is much less stressful. Oh yeah, and don’t underestimate volunteering and bartering. I recently volunteered at an event and had a much better time than I would have at the movies (seriously, try it, you may surprise yourself). Through that event, I also managed to barter drywalling services (which I’m good at) for electrical work (which I need and can’t afford right now). I love these kind of win-wins! I’ve been using diluted vinegar and newspaper to clean windows for 30 years now. Nothing beats it! No lint, no streaks, and definitely no ink. Just clean, clear glass. Use a rag to wash the window with the vinegar, then dry it with the newspaper. My biggest thing is the urge to shop – i think its like a smoker or gambler trying to quite. I have a hard time not shopping but I’ve cut back and it feels good. I just track everything in a spreadsheet and I find it makes me more accountable. I also use the slowcooker at least twice. I am going to try the newspaper idea before I critize it. Thanks for the idea I would’ve never known. I use Norwex cloths for my windows and mirrors. Blue cloth damp with just water to wipe all over the window/mirror and the purple cloth dry to wipe it dry. Works wonderful!!! No streaks, cleans and just with water. I don’t sell Norwex but sure do use it. You don’t need chemicals for cleaning. My cleaning expenses have gone WAY down. Just google the company. living frugal?? You are kidding me. Learn to sew? Buy used clothes. Most of the points are common sense. This is not living frugal. I am not impressed with this list. You would be surprised at how many people do so few, if any, of those things. I have found common sense to be very uncommon! living frugally like the list Mrs. January has served me well for over 50 yrs. If you observe our seniors who have been through the depression, believe me they are the thriftiest people I know & seem to be doing well (they’ve been through the worst times financially in their liftime!!!). I remember my mother adding a little water to shampoo to make it go further, adding some water to ketchup & shaking the bottle to make it go further, etc. Hand me downs for clothes when I was growing up didn’t hurt either (I loved to see what my cousins were giving away cuz they grew out of it!!). When clothes were ripe, she’d take all the buttons & zippers off to use in case she had to replace a button or zipper (saves from buying them!!). Heather could not be more wrong. your glass will sparkle, however the ink will get on the vinyl casing. I always check out the dollar store for seasonal decor. I found some cute little pumpkins the other day that will be cute as a center piece on my kitchen table. I used to buy the real ones but these ones look almost real and can be used for years to come. Another frugal decor tip is to use spray paint. For example, My husband and I just bought a new house and the mail box by our front door was in good shape but was an ugly peach colour. I went out and bought a $5 can of black spray paint and saved myself from spending $20+ on a new mail box. I have spray painted many items and it has saved me a ton of money. Another thing that I do is cut my husband’s hair. He was paying around $20 every 6 weeks at a salon. So we bought the clippers for $20-30 and got a hair dresser friend to show me how to use them. I have done it 4 times now and it really isn’t that hard and has saved us a bunch of money. I must also disagree with you on the newspaper thing. I was traveling in the southern states and stopped to fill up at a gas station. While pumping the gas, a young man asked me if he could clean my windshield. Of course I told him yes. While paying for the gas, it dawned on me that he didn’t work for the gas station, but worked for tips. He has a large spray bottle and a bundle of newspapers, and watched I watched him, thinking that the windows would be streaked black. I was wrong. They have never been that clean. Since then, I use NOTHING BUT newspapers to clean my window. (Needless to say, I gave him a nice tip). Relating this story to a friend of mine, he laughed. His parents, having emigrated from Italy, were very poor and never had luxury items like paper towels. He told me that until he move out at 22 years old, he had never seen a window or mirror cleaned with anything BUT newspaper. Try it. You’ll be shocked. I noticed taking a bus to work instead of driving (if possible) as way to be frugal. I notice in this economy with wanting to save money and the cost of gas people are not turning to public transpor. Believe in the fact that the more people who take a bus the better the transit system will become. I find it sad that so many would rather pay parking and high gas prices than just jump on a bus…our society has built a stigma around public transport and really when people are trying to be green and frugal this never seems to pop or be used an option. I saw on a tv show once this man who doesn’t pay more than $1 for any cleaners for his bathroom and didn’t realize how much I spent in the past on them … needless to say I only use Comet now and it usually goes on sale for $0.50 can at Canadian Tire every month. It may take a little extra scrubbing but works just great!! I was also skeptical about using newspapers to clean mirrors/windows, despite the fact my mom swears by it. One day I decided to give it a shot on my bathroom mirror (the worst case scenario would be I’d have to re-clean it using a paper towel). I was surprised at how amazingly clean the mirror was by using newspapers on it. Great tips, everyone! his one drives me nuts – Bring re-useable bags with you when you go shopping, so you don’t have to buy plastic bags. I can’t believe we have to pay for bags at supperstore and shoppers – I remember walmart trying that and it did not go over at all. One thing only to clean (bathrooms, kitchen or whatever): I’m a firm believer in Mr. Clean “Magic Eraser”. All you do is wet them & start scrubbing; rinse periodically. in my experience it works way better than comet!! We used to have a lot of iron in our water @ our old house & the best thing to take it off besides using lime away or CLR (all toxic materials) was the magic eraser. They last pretty well depending on how hard you have to scrub!! Using cloth diapers is my big one. I have used the same diapers for 2 kids now and I’ve saved tons of money on diapers and wipes. (I use cloth wipes too) The best part is that when you are done with your diapers you can re-sell them and get up to 60% of their initial value. Would love to live with one vehicle, but we live in the country and hubby is a shift worker. 2 vehicles are very necessary. There’s only one problem with buying present all year round. I’ve hidden them from the kids when they were little (I used to have a little snoop; even when they were wrapped, she’d unwrap them!!!). The problem was I hid them so well, I couldn’t remember where I had put them (couldn’t find the list telling me where I put them either). No computers back then (although the kids could probably get in the computer & find the list if they really wanted it). Although the snoop didn’t find them one year. As a teenager she threw her stuff all of her side of the room (don’t know how she found clean clothes). So one year I buried her Christmas present in her closet underneath all her “stuff”. Right under her nose & she didn’t have a clue. Anyways, I’d call you “thrifty” not a tightwad. There’s nothing wrong with being thrifty! I have been called cheep before – filling the katsup bottle with the no-name product. Now that i sale and coupon the family getts the brands they love and i still can be cheep – win win. When buying presents all year long my secret hiding spot is to hide them in our empty suitcases. The kids have no idea that is where I hide the presents and I store the suitcases in my closet so I can get to the items easily. If I buy bigger items then they are hid at my parents house. We are now hooked on the idea of bringing lunches to work. Even if we are in a hurry, we throw fruit, veggies, whole wheat crackers and low fat cheese strings in a bag and do the prep work at work. It is so nice to see extra dollars at the end of the week, that wasn’t spent on lunches or fast food. On weekends and vacations, we make sure that we have healthy snacks and water in the car, so we are not tempted to pick up fast food. Our ING and PC Financial accounts are much bigger this year than the same time last year. The pennies and few dollars saved really add up. I make alot of jam in the summer when the fruit is abundant. This year I made plum, raspberry, strawberry, strawberry/rhubarb and blueberry. When Christmas comes I bake 3 different kinds of biscotti and make gift baskets with biscotti and jam. Its a big hit and friends look forward to this gift. Which banks have no fee accounts? Michelle: We have some accounts with ING direct, they are free. I know PC is free as well. We never go out for dinner. It is too much money. We will do takeout occasionally but we are smart about it. For example we grabbed swiss chalet the other night to feed 8 of us. 8 quarter chicken dinners (4 white meat) will cost 72+tax. Instead we ordered 2 family packs and with tax cost $59. The family pack is a whole chicken (4 quarters) plus 4 sides and rolls. We also located a wholesale vegetable place in the city we live (Hamilton). Don’t confuse this with an organic market. The markets are expensive and most of their vegetable come from the Toronto Food terminal…my 90 yr old grandmother calls them “hucksters” or someone who sells others produce as if they grew it themselves. It would make you sick to your stomach to realize how much you are paying for your veggies in the grocery store..even on sale. I had 2 boxes of fruit and vegetables and eggs and it cost me $32. (Lettuce, cucumber, 2 zuccini, green onion, 4 kiwi, 5 granny apples, 5 red delicious, 3 grapefruit, bag of onions, 10lb bag of potatoes, bag of grapes, radishes, protebello/shitake mushrooms, strawberries, broccoli, 2 leeks, celery, asparagus, dozen eggs) Yep $32 total for all of that. have a search for one in your neighborhood. We save $50 a week at least in fruit and vegetables and it makes eating some vegetarian meals much easier. Wow! this is a great list of ideas, most of them I do to help save my family money. My hubby had never heard of using newspaper before either until I told him years ago and now he always uses newspaper for cleaning. One of the best ideas is buy used stuff especially for kids. My girls love to shop at value village and salvation army they love to spend hours finding great clothes and at the salvation army near us it’s $2 a bag for kids clothes so you can get a ton of stuff for next to nothing ( thanks to the ppl who don’t live frugal! ). I know how to sew and that has come in handy so many times, as well I crochet so we never have to buy hats or scarves among other things it’s great I love being frugal! I can’t believe some of the ppl on here complaining about these ideas, if you don’t like to save money then this site is not for you. I just purchased a box of Tetley tea at SDM for $3.99 (and used a coupon for 2 for 1). So, for $4 — I now have 144 teas (more if I re-use the tea bags) which works out to about 2 cents per beverage. I’ve been thinking that if I switch over from coffee to tea, I’ll be saving A LOT of money. A big tin of Tim’s coffee costs $18. That’ll give me about 40 coffees plus I buy cream and the paper filters for my coffee which works out to about 52 cents per coffee. Instead of spending $400 a year (stops to coffee shops included) I’ll spend $15. Wow. About $385 saved. Pass the kettle! Hello!!??!!? ?Heather have you ever noticed how dirty your hands get holding money you do it anyway!HELLO!!!!!!! My mom uses vinegar, water and the blank paper she get with her flyers. I have seen her use that stuff and it works well. Mind you have to really scrub the glass a little bit harder than you would paper towel and cleaner. But I didn’t believe her at first until I saw it for my self. I like to save all of my PC points for when it is my turn to host Christmas Dinner! I can feed 15-20 people for 140.00…all on PC points! We also put most purchases on our points collector Visa card…we love to travel and have enjoyed the warranty protection benefit of this product! I also like to browse VV, Salvation Army and Rebuilt Resources for anything BEFORE heading to a big box store! More often than not I can buy what I’m looking for at a fraction of the price. I’m a big consignment store shopper also, for both clothing and home fashions. My husband and I are also going to a more organic way for cleaning products, using vinegar and baking soda formulas. As we have gotten a little longer in the tooth, we have found chemical and over scented products quite uncomfortable, health wise. All in all, live within your means and be open to new/old ideas and solutions!